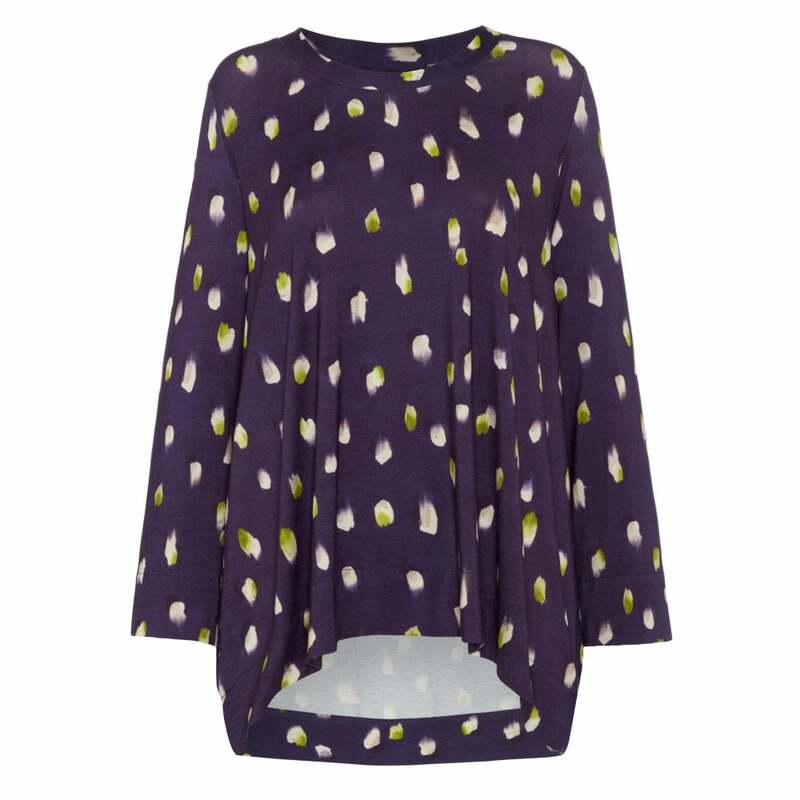 Made from a fluid jersey this elegant top features a watercolour print in cream and lime. Cut in a boxy silhouette this top features a round neck, three quarter length sleeves and side seam splits. A contemporary addition to any wardrobe we love this dot print top.